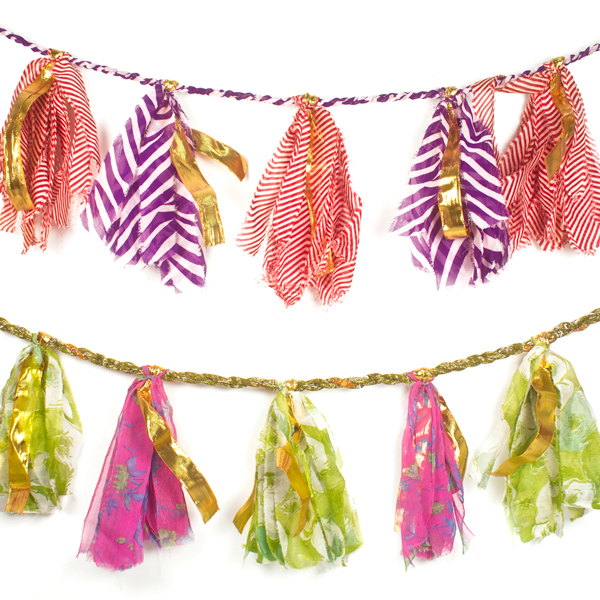 Make every day a party with the Sari Party Tassel Garland! These festive oversized tassel garlands are made of a colorful assortment of upcycled frayed sari strips and gold mylar ribbon. Due to the upcycled nature of this product, colors and patterns will vary. Handmade by women artisans, fair trade, sustainable, funds community development.